Welcome to The Resume Template Site your online source for free resume templates and examples. Free resume templates are posted on this site under their relevant industry. In some cases you might find resumes posted under several industries. Servers and cooks are examples of jobs that are recruited in both transportation (as in the case of airport concessions) and hotel and hospitality. Each resume template has been professionally designed to include skills, qualifications, and a list of the most relevant tasks related to each job title. Determine what type of resume template best suits your skills and qualifications. If you are a recent college grad, the recent college grad or functional resume template might be best for you. Functional resumes are also ideal for emphasizing qualifications and skills over job titles. If you are new in your career, or have a steady employment history, then the chronological resume template might best suit your needs. You can learn more about the different types of resumes here. Locate your industry either in the top navigation bar, or on the post list on the home page. Once you’ve identified your industry, scan the resume icons and titles posted on that page. You can click on the individual images to enlarge the resume template to determine if you’d like to download it. Once you find a resume template you want to download, click the download link and either download or save your free resume templates for editing. When editing resume templates, please be sure to personalize all information including: name, address, email, phone number, job titles, dates, qualifications and job duties. You do not want to have a resume that says the exact same thing as someone else. Resume templates, including tasks, qualifications, and skills, are meant as guidelines only and are not meant to replace your own personal experience. Finally, save and print or email your resume. Now go get that job! 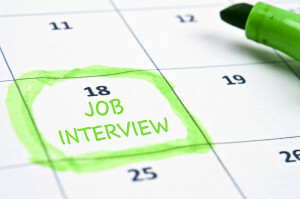 Here’s a great article about preparing for your interview. Resume templates, resources, and employment advice on The Resume Template Site are for educational purposes only. Use of the templates, resources, and advice posted on the site is by no means a guarantee of gaining employment. Furthermore, The Resume Template Site in no event will be liable for any loss or damage including without limitation, indirect or consequential loss or damage, or any loss or damage whatsoever arising from or in connection with, the use of this website. The Resume Template Site links to other web sites and affiliate advertisers. The Resume Site is not responsible for the availability of these external sites nor does it endorse or is it responsible for the contents, advertising, products or other materials made available on or through such external sites. Under no circumstances will The Resume Template site be liable for any loss or damage caused by your reliance on information obtained through the content on this site.